Nairobi, Kenya & Abu Dhabi, UAE: 5th January 2019: Following the successful launch in Bahrain, on 5th December 2018, and the subsequent events in Bolivia and Bangladesh, on 6th and 18th December, respectively, the Zayed Sustainability Prize’s “Guiding Light” global campaign has now arrived in Kenya, with 2,000 solar lanterns to be donated to rural communities near Nairobi. To highlight the arrival of the campaign in each of the participating countries, the solar lanterns are arranged into a 20x20 metre, outdoor light installation, revealing the Zayed Sustainability Prize logo. Following these events, the lanterns are then distributed to communities where there is limited or no access to on-grid power. 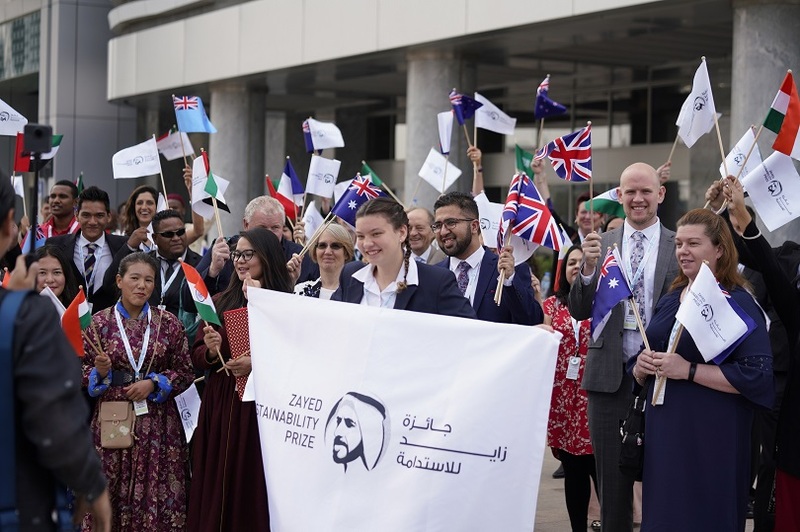 Inspired by the sustainability and humanitarian legacy of the United Arab Emirates’ (UAE) founding father, the late Sheikh Zayed bin Sultan Al Nahyan, the Zayed Sustainability Prize is the UAE’s pioneering global award for recognising innovative and inspirational sustainability solutions that deliver human impact. Over the last 11 years, 66 winners have been recipients of the Prize and, collectively, these winners have, directly or indirectly, impacted the lives of over 318 million people. As with all the light installation events being held outside of the final event in the UAE, which takes places on 9th January, the on-the-ground organisers are also previous winners of the Prize. In Kenya, the event is being run in partnership with 2013 Prize winner, d.light – a global leader and pioneer in delivering affordable solar-powered solutions. Following Kenya’s light installation, the solar lanterns were distributed to three off-grid schools and a public health centre in the towns of Kiserian and Ngong, in Kajiado County. They are the Iseuri Primary School, AIC Primary School, Olekajuado Boys Primary School and Ilbisil Health Centre. Both towns are off-grid communities approximately 40-50 kilometres West of Nairobi. 2013 Prize winner, d.light, is a social enterprise that manufactures and distributes solar lighting and power products targeting people who have no access to energy. Founded in 2004, and based out of the US, the majority of d.light’s operations are active in the developing world. According to d.light, a total of 1,750 students attend all three schools, so the majority of lanterns will go to the schools with 30-40 set aside for the Health Centre. The clinic currently has a total of 24 beds, with 12 specifically designated for maternity and neo-natal care. 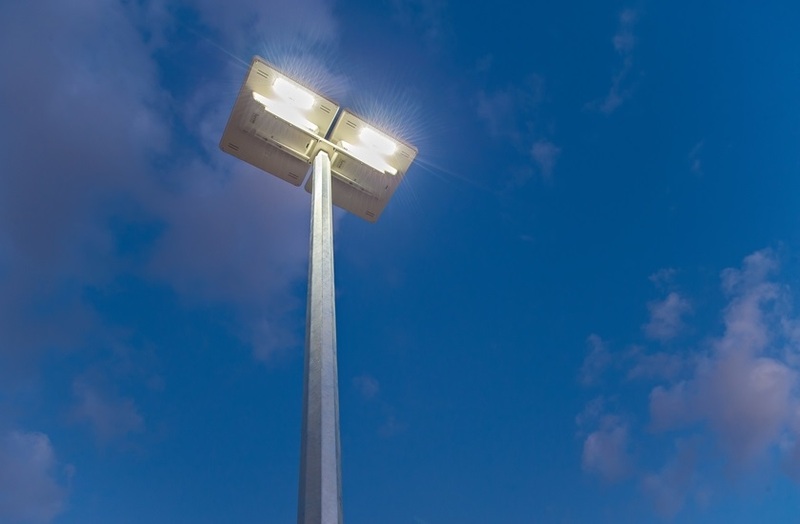 According to the Health Centre statistics, over the period of one year, approximately 2,190 inpatients and 16,060 outpatients will benefit from the donation of these solar-powered lights. After Kenya, the global campaign will conclude in the Prize’s home country of the United Arab Emirates, with a light up event scheduled for 9th January 2019, at Masdar City, in Abu Dhabi. Following the evolution of the Zayed Sustainability Prize from the Zayed Future Energy Prize, early last year, the 2019 awards will now include categories in Health, Food, Energy, Water, and Global High Schools. This demonstrates the Prize’s now closer alignment with the UN Sustainable Development Goals and the UAE’s government’s own National Agenda 2021. Winners of the 2019 Zayed Sustainability Prize will be announced at the awards ceremony, on 14th January, held during Abu Dhabi Sustainability Week 2019. Guiding Light is a global sustainability and humanitarian campaign organised and funded by the Zayed Sustainability Prize and runs from 5th December 2018 to 9th January 2019. The event locations and dates are: Bahrain (5th December); Bolivia (6th December); Bangladesh (18th December); Kenya (3rd January); and, finally, the United Arab Emirates (9th January).